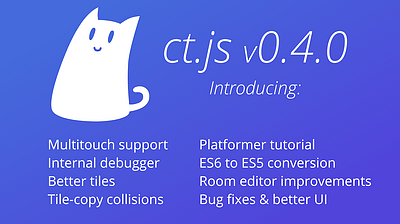 ct.js aims to make learning programming fun and game development easy by its visual editors and well-documented code library. 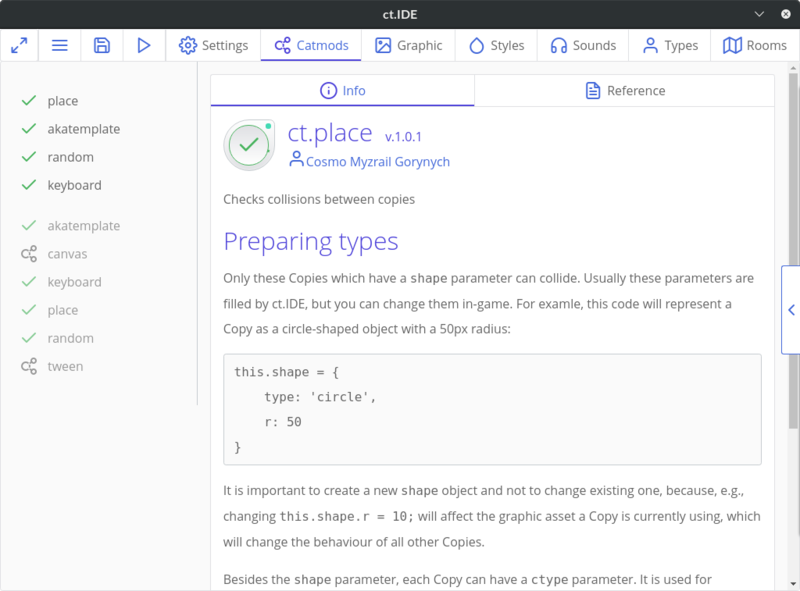 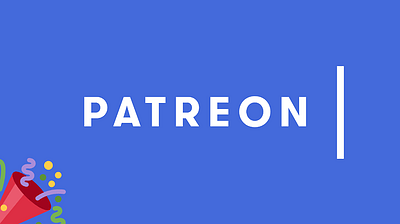 It is available for Windows, Linux, and Mac. 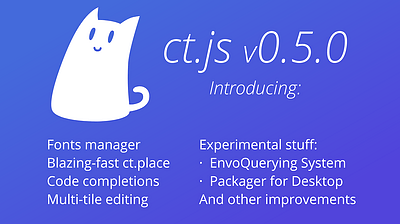 The core library of ct.js is small but powerful and can be easily extended in one click by modules. 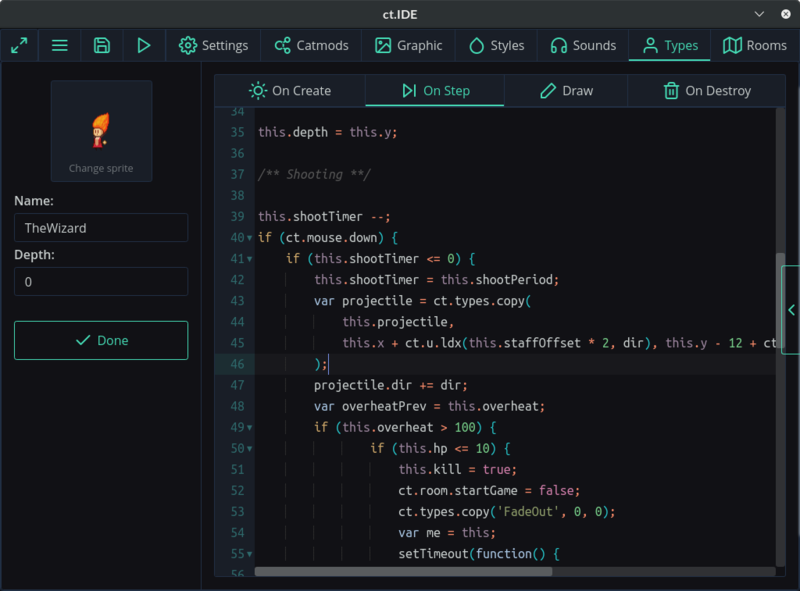 You can write your own modules, too! 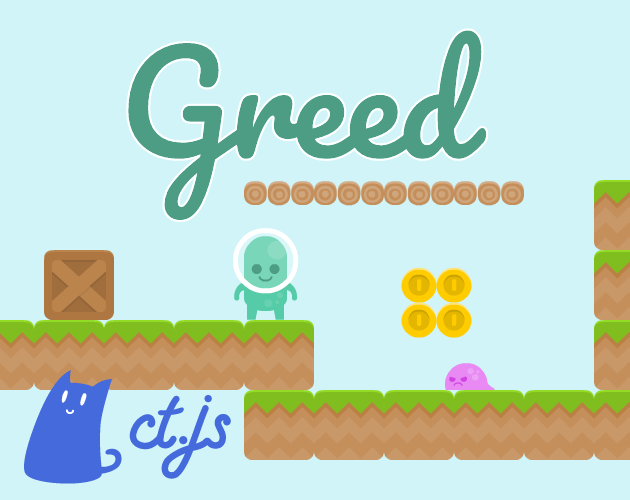 Games created with ct.js run in any modern browser, including mobile ones. 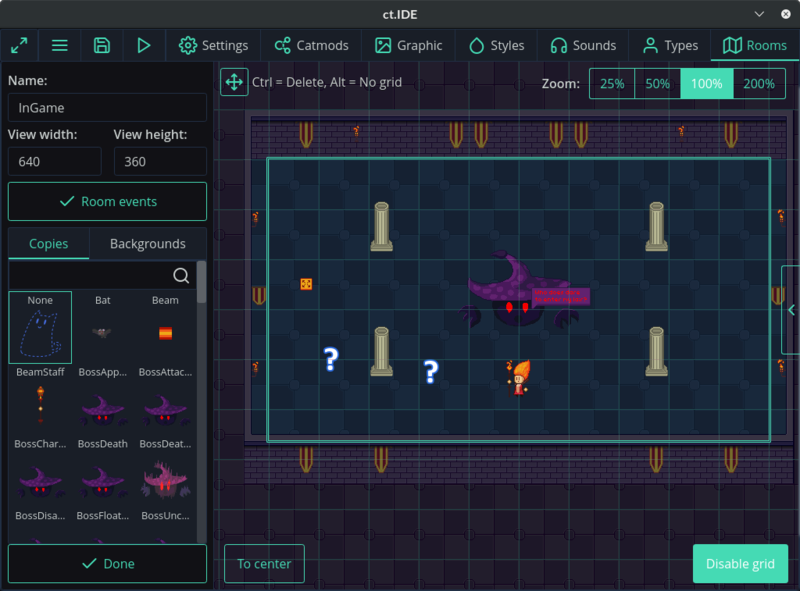 You can also pack your game as an executable for Windows, Mac, and Linux! 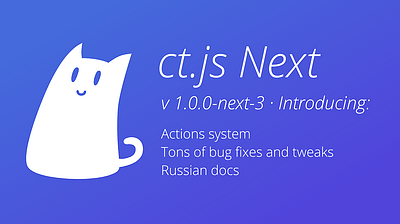 ct.js Next is the preview channel of the upcoming ct.js v1.0.0. 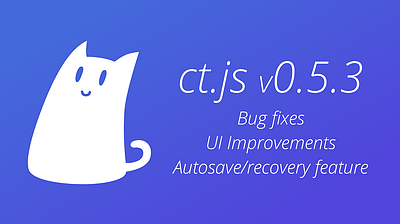 It has new major features and QoL improvements. 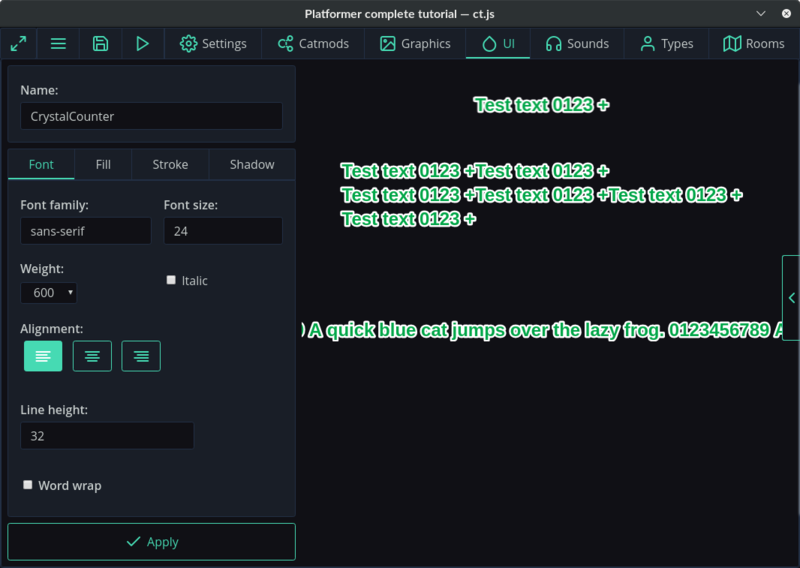 Pixi.js-based WebGL renderer — ultra-fast! 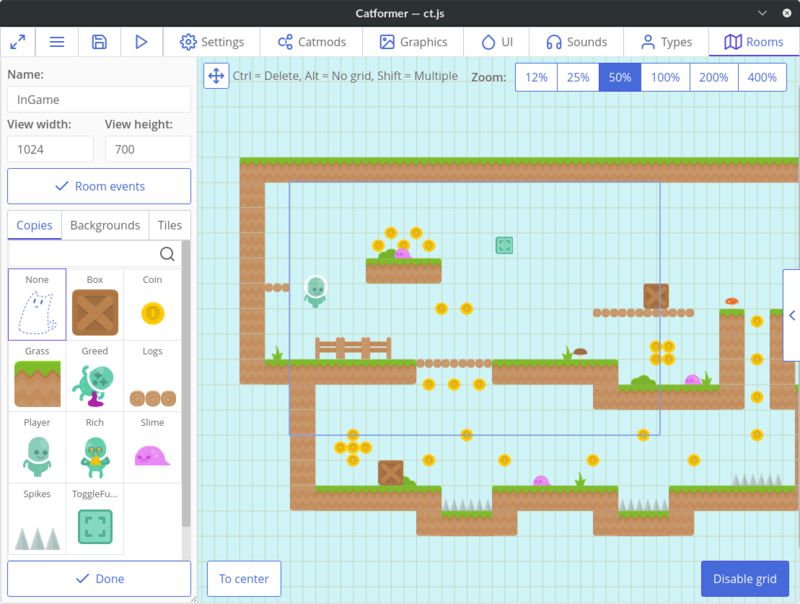 Collect all the coins on the map! 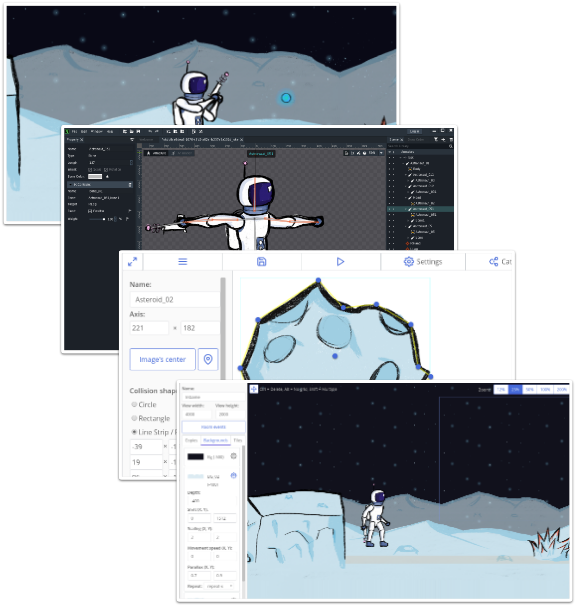 This demo shows how to create a side-view world by playing sprite animations, transforming copies, creating simple enemies, handling player's keyboard input and detecting collisions. 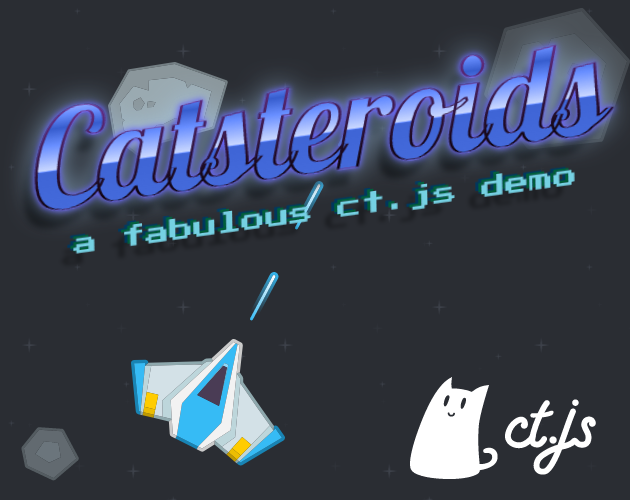 Fly through space, collect bonuses, earn score points and destroy asteroids and enemy ships! 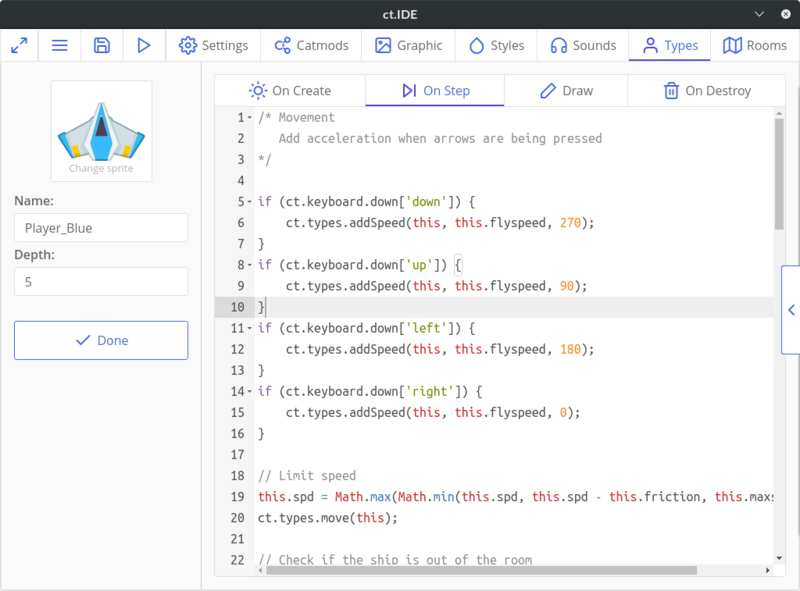 This demo shows how to handle keyboard input, create basic menus, handle collisions and create new objects during the playtime. 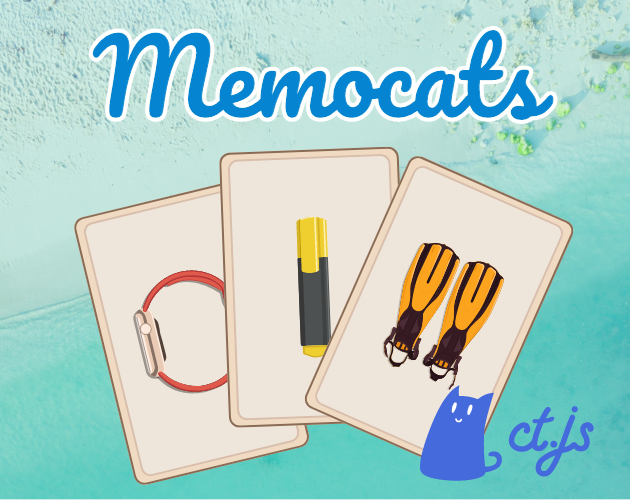 Find identical cards to clear the board. 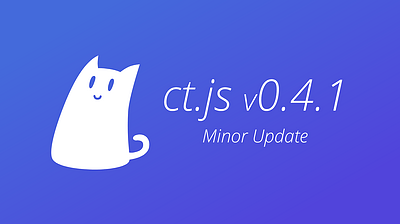 This demo shows how to play sounds, animate things and use the core ct.js library. 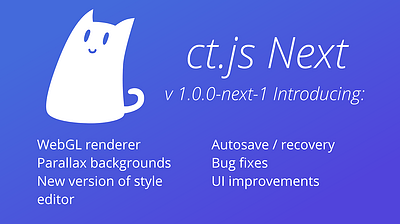 WebGL Renderer — Out now in ct.js Next! 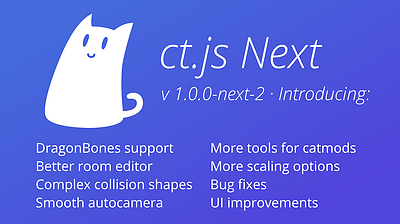 More versatile tools for manipulating objects in rooms — Out now in ct.js Next! 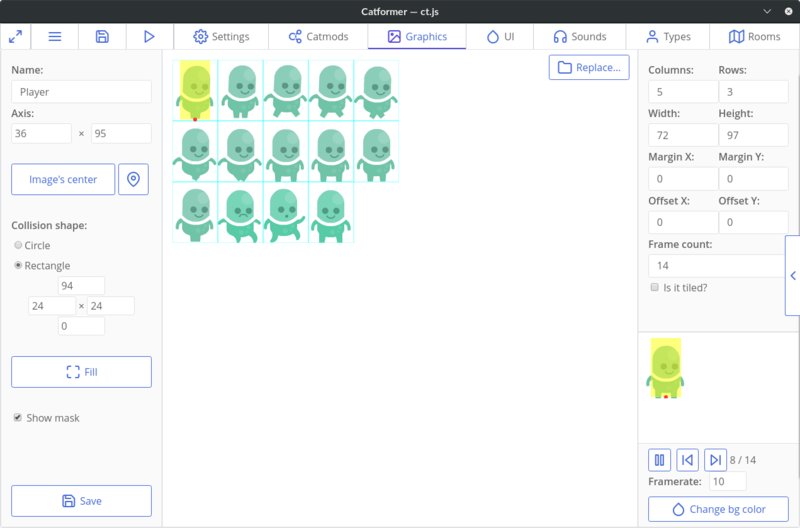 Basic in-editor image maipulation tools: flipping, resizing, etc.